Most salespeople and sales leaders who marvel at the consistent year in and year out performance of sales superstars are blind to the real reason for their success. Unwilling to accept that the foundational root of all success in sales is a fanatical focus on prospecting, they waste time tilting at windmills on their quixotic pursuit of fads, silver bullets, and secret formulas they believe will deliver them into arms of success with little effort. 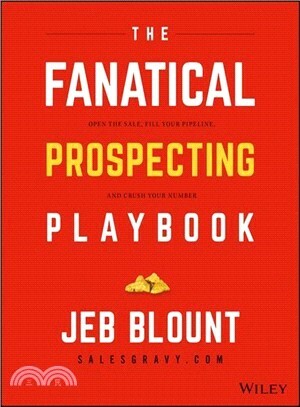 Fanatical Prospecting Playbook will be an essential tool for leaders that aids and coaches sales people to become more effective prospectors. For salespeople, this book will explain the how and why behind the most important activity in sales and teach the skills and techniques required to become both effective and efficient at prospecting.